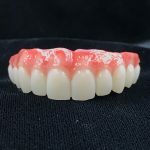 Our Full Zirconia Hybrid is one of the most esthetic and durable restorations for the edentulous patient seeking an implant retained solution. 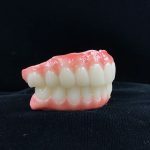 Full Zirconia Hybrid Restorations exhibit a flexural strength of up to 1200 MPa, allowing you to deliver a restoration that looks natural and that will endure even challenging occlusal loads. 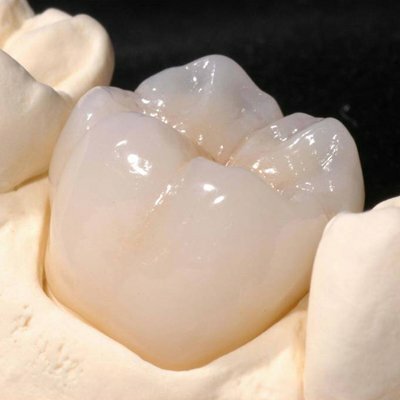 Our Nano-Ceramic Hybrid Restoration truly innovative Nano-Ceramic material bonded over a fiber-reinforced bar. 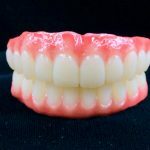 This results in a lightweight and ‘realistic feeling” restoration that many patients prefer over the heavier full-zirconia material. 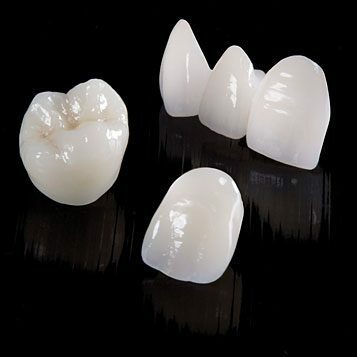 Both types are far superior to the traditional and easily breakable bar and acrylic type hybrid restorations in esthetics, maintainability, and longevity. 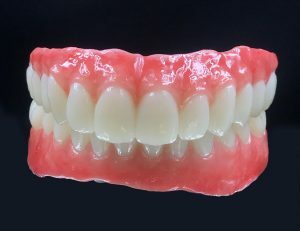 Each case that is fabricated by Backer Dental Lab must be designed on a verified model. This means that either a chairside Duralay Jig is constructed by the dentist. Or, you can send us the impression and we will make a verification jig with a custom tray for your convenience. Backer Dental Laboratory works closely with clinicians who are using the GuidedSMILE CHROME surgical protocol. GuidedSMILE CHROME, a patented sequential pin system, is used in immediate load full mouth reconstructions like an All-ON-4. Please give us a call if you would like for us to fabricate your final restoration. 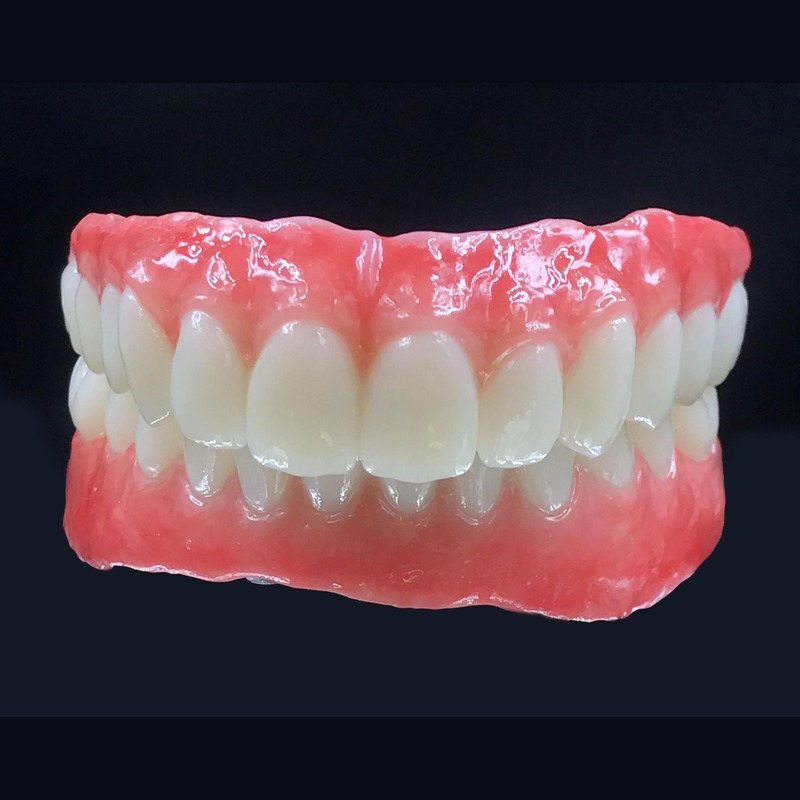 At Backer Dental Lab, we proudly fabricate all work in-house and is made 100% in the USA. 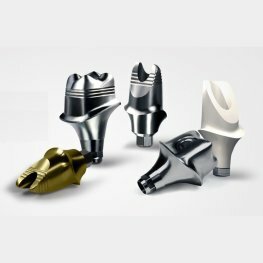 The only outsourcing is for the milling of implant custom abutments and components that require 510(k) clearance and is outsourced to reputable and FDA registered authentic companies ie. Atlantis, Nobel, Straumann, Creodent, and TruAbutment.